Create, configure, and customize stunning platform-specific features as well as cross-platform UIs with the power of Xamarin Forms. Maximize the testability, flexibility, and overall quality of your Xamarin apps. Get the most out of Xamarin.Forms and create your own reusable templates with C# scripting in Xamarin. 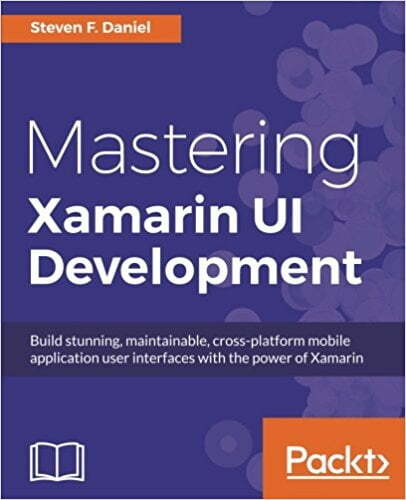 If you are a mobile developer with basic knowledge of Xamarin and C# coding, then this book is for you. 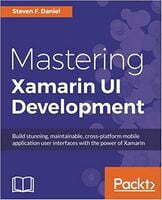 This book will provide you the practical skills required to develop real-world Xamarin applications. You will learn how to implement UI structures and layouts, create customized elements, and write C# scripts to customize layouts. You will create UI layouts from scratch so that you can tweak and customize a given UI layout to suit your needs by using Data Templates. Moving on, you will use third-party libraries - such as the Razor template engine that allows you to create your own HTML5 templates within the Xamarin environment - to build a book library Hybrid solution that uses the SQLite.Net library to store, update, retrieve, and delete information within a SQLite local database. You'll also implement key data-binding techniques that will make your user interfaces dynamic, and create personalized animations and visual effects within your user interfaces using Custom Renderers and the PlatformEffects API to customize and change the appearance of control elements. At the end of this book, you will test your application UI for robust and consistent behavior and then explore techniques to deploy to different platforms. This easy to follow guide will walk you through building a real world Xamarin.Forms mobile app from start to finish. Each chapter builds upon the app using a step-by-step methodology that applies new advanced functionalities, design patterns, and best practices.